The KD485-PROG can be configured with any "dumb" terminal or a PC. A GUI-based Windows configuration program, KDCFG.EXE, for Win9x/NT/2000/XP/Vista/7/8/10 is included on a CD. Configuration is done via Port 1 over RS232. Programs can be written in ANSI C or assembler. 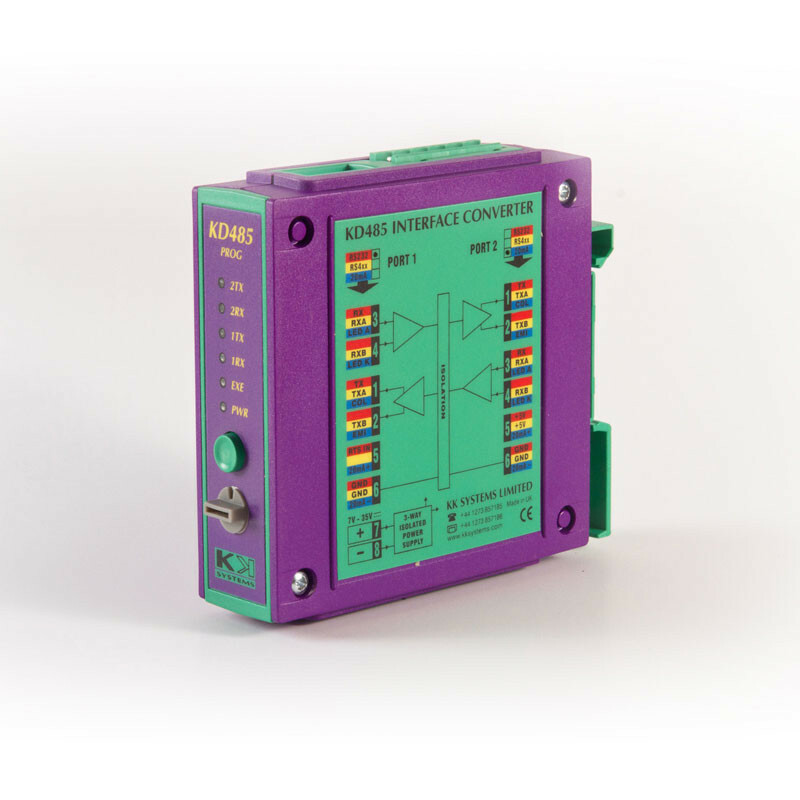 C programs up to 10,000 lines have been successfully developed for the KD485-PROG.